Honda and Acura are no strangers to the world of Pirelli World Challenge racing. They’ve been there for 27 years in one class or another. 2017's lining up to be an exciting year for Honda fans. With the empowerment of Honda’s racing division, fans will see even greater Honda, Acura brand team racing partnerships with H.P.D in 2017. For those of you who’ve attended or viewed Pirelli World Challenge G.T. class racing on PWC Challenge T.V., you’ve witnessed one of if not the most exciting no-holds-barred racing series in existence. P.W.C. is a production car based (touring car) race series where multiple class contestants simultaneously take a standing start, and go full out for the duration of the race -- it's hair raising. 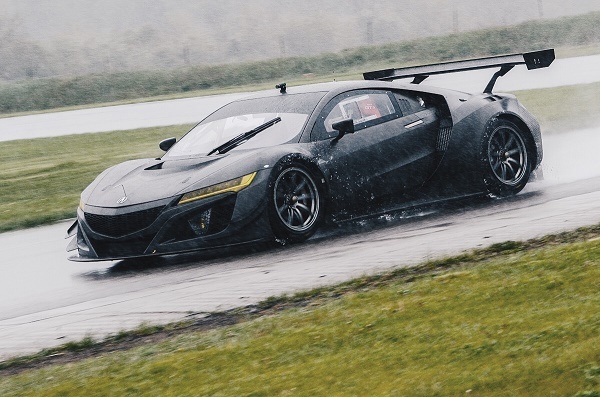 For the 2017 PWC Season: Acura drops the TLX GT program, with our friends at RealTime Racing ™ pulling the covers off of a pair of much modified production based non-hybrid, rear wheel drive 2017 NSX GT3 cars. On a side note, we find Honda powered Indycar drivers Graham Rahal and Ryan-Hunter Reay picking up two seats with NSX-GT and Michael Shank Racing for the upcoming Rolex 24 Hour. 2017 will be an exciting year for Acura NSX GT3 race fans. 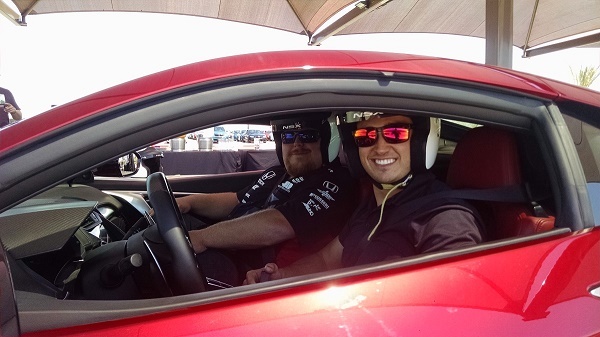 I take a few laps with Graham Rahal in a 2017 Acura NSX. As earlier announced by Honda, 26 year old world class competitive water skier and up and coming celebrity auto racer Shea Holbrook, owner and lead driver for Shea Racing will expand her duel Honda Accord effort with the addition of a H.P.D. prepared 2017 Civic Coupe Si, with champion driver Tom O'Gorman at the wheel. "Coming up through the grassroots levels to pursue a career in professional motorsports – all in Hondas – makes us feel deeply rooted to the brand," Holbrook said. "Honda's passion, reliability, support and proven trackside performances have been the key reasons why Shea Racing has built a business as a Honda team for seven consecutive years. We are thrilled to continue our relationship with Honda and HPD through our Accord program, and add the 2017 Civic Si next season." O'Gorman joins Shea Racing after partnering with HPD last year to race a 2016 Honda Fit in Pirelli World Challenge TCB class, winning the Drivers' Championship. "The car was amazing throughout the '25 Hours' race. We were able to make great strides in the car's development, turning faster and faster laps throughout the race, and finish without a single mechanical issue," O'Gorman said. "It was a fantastic learning opportunity and an impressive debut for the new car, I can't wait to get behind the wheel for the upcoming 2017 Pirelli World Challenge season!" 2017 is lining up to be a very exciting and successful year for Honda, Acura Pirelli World Challenge Racing. Look for my first PWC race report from Circuit of the Americas (COTA) September 1-3 2017.